A heated discussion took place on the issue of benefit and harm of herbal medicines. Thas, ginkgo biloba, St. John's wort and other widely used herbal supplements may be risky for people on heart disease medication, especially the elderly, according to a medical review released on Monday. Some herbal remedies may increase the potency of prescription drugs for heart disease or make them less effective, a team of experts concluded. Mixing herbs and drugs also could cause serious heart rhythm problems and bleeding, according to the review published in the Journal of the American College of Cardiology. Use of herbal supplements among elderly patients is especially concerning because they typically have more than one disease, take multiple medications and already are at greater risk of bleeding, the report said. 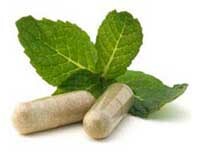 Previous studies have sounded alarms about use of herbal supplements which are not regulated like traditional medicines. This review examined how supplements and cardiovascular drugs may interact. "We can see the effect of some of these herb-drug interactions -- some of which can be life-threatening -- on tests for blood clotting, liver enzymes and, with some medications, on electrocardiogram," Dr. Arshad Jahangir of the Mayo Clinic in Arizona said in a telephone interview. Many patients fail to disclose their use of herbal remedies so healthcare providers should be more probing, Jahangir said in a telephone interview. "We need to be actively ask about alternative or complementary medicine patients may be seeking on their own to assess these potential interactions or side affects," said Jahangir, a cardiologist. "They don't even consider that herbs could have a negative effect," he said. "Their impression is that 'natural' is safe,"
At the same time the Council for Responsible Nutrition, an industry trade association, said the article represents a biased, poorly written and contrived attack on herbal supplements. "Many herbal supplements offer healthful benefits and fiber, garlic, and Hawthorne provide heart health benefits, and the potential risk for a drug interaction can be eliminated by speaking openly with your doctor," the group's vice president, Douglas MacKay, said in a statement. "If consumers are buying from reputable companies, they can feel confident in the quality and safety of these products," MacKay added. Ginkgo biloba is taken to sharpen cognitive skills and St. John's wort is used to fight depression and sleep disorders. The Nutritional Business Journal, an industry publication, estimates U.S. consumer sales of supplements climbed more than 6 percent in 2008 to reach $25.2 billion.